Everything you do – from products, pricing, promotion and distribution, to billing, your phone greeting, and employees’ attitudes – affects how your customer perceives your company. 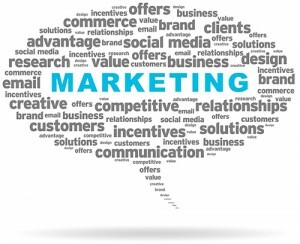 Marketing encompasses the entire business and shapes your image. You know who you are, now it’s time to share. Marketing will create customer interest in your products or services, and allow you to build strong relationships with those customers – thereby creating value for your company. Contact Us to learn how you would benefit from our Marketing Services.